Very reliable car that gets great gas mileage and as long as its well taken care of you should not expect any major issues except your basic upkeep. Have not had any major complications. Had basic upkeep after average mileage use such as breaks. After 5 years of use needed to fix the alternator. This was by well upkeep of keeping up with oil changes, use of synthetic oil,and use of quality midgrade gas. Would anticipate more complications if it wasn't well kept. It's a great car and very reliable. No major issues to worry about. Also drives smoothly with great gas mileage. Love the added comfort features like the heated seats. The performance is great. I do not have a lot of problems with this car. The reliability is great. The car turns on smoothly in the winter like in the summertime. The car is very roomy inside. The trunk is big. For comfort, the seats have heat and cool temperature controls, the back seats have the same plus massages for the back in both back seats. The problems I have had with this car are the usual that comes with owning an older model car. Nothing that serious. Perform routine maintenance you will be able to drive this car for a long time. 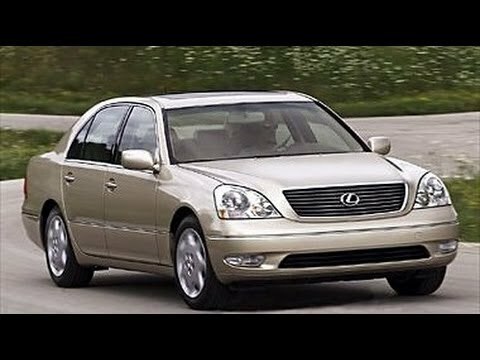 I currently drive a 2001 Lexus ls 430 and love it!! I have been driving this vehicle for 15 years. I have not had any major issues. She is having a little blowing white smoke upon cranking but she is 17 years old. My car has always started. I have only had to perform routine maintenance. This is my second Lexus and if I can afford to Lexus will be the only car that I drive.